Picture this: It's been a long week, and you've had your fill of motherhood and work. Now it is time to relax and unwind with a few of your girlfriends. Girls Night Out (or GNO as I like to call them) is a wonderful concept and allows for you and your girlfriends to enjoy a night on the town kid- and spouse-free. If you haven't had an amazing Girls Night Out yet, you are missing out. It's a great way to bond while having a little fun too. And having an epic Girls Night Out can do wonders for your mood. Don't you remember the fun you used to have at slumber parties when you were younger? Who says they have to stop now that you are older? Get a few of your besties together and plan a fabulous girls night out sleepover. You can book a room at a hotel that offers a suite with a few bedrooms and live it up. Hotels like Marriott's Residence Inn are made like small homes and also have a kitchen, living room, and separate sleeping quarters. This is perfect for a sleepover and you can enjoy an uninterrupted evening of games, music and fun. 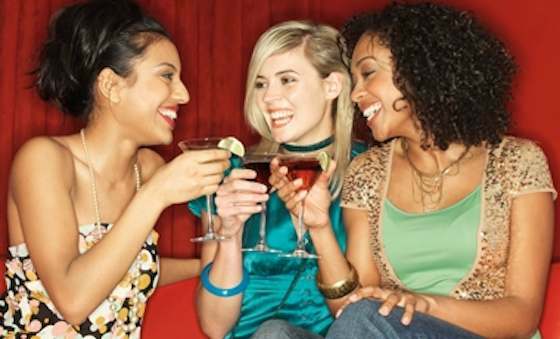 For your next Girls Night Out, rent a limo for your closest friends, and get chauffeured around town. Partake in dinner, comedy club and any other nightlife you want while having fun in a limo or party bus. It will be something you all will remember. If you have more than a few days to spare, why not book a trip to Las Vegas, or somewhere comparable with your girlfriends? You can split the expense of a hotel room and party it up in another city with your crew. This is a perfect idea if you are celebrating a birthday. If you want to have something a little bit more low-key, you and your friends can have a Spa Night in the comfort of your own home. Many cities have spa services that travel and come to your home to give more personalized treatment. You and your friends can partake in manis and pedis, a massage, or even a facial. Relaxing while having fun is a fab way to spend time with one another. No matter how you decide to spend your Girls Night Out, make sure that it is focused on fun, flair and fabulousness. Article: Copyright ©. All rights reserved. Relationships - "Plan a Fabulous Girls Night Out"